Happy Monday kids! Just back from a great weekend of scouting, and the talk of the town everywhere was the Big Ten Conference’s rule change proposal to the NCAA. That’s right, the Big Ten has proposed a rule change for all NCAA hockey programs. See the Big Ten is pretty much autonomous when it comes to making proposals even when they are so selfishly designed to only benefit themselves. I know, you’re saying that “one conference surely wouldn’t try to propose a rule that would hurt all the other conferences, would they?” The answer to that is a resounding “Yes”. Typically the Big Ten schools recruit the youngest “Blue Chip” prospects they can find. Its a feather in the cap of every program when they have a ton of NHL draft picks on the roster. But that’s a double edged sword too. Because they lose so many of those NHL draft picks early for the NHL they struggle to compete with other programs that commit to players who are a little older and have finished or played a year or two of junior hockey before coming to school. What would the Big Ten like to see? They would like to see the elimination of, or the reduction of playing eligibility for 21 year old Freshmen entering NCAA programs. That’s right folks, under this rule, you would lose a year of eligibility if you entered school at 21. Ummmmmmm yeah, can anyone else see how utterly stupid this is? Not only is it completely idiotic, but it completely goes against what the NHL says it likes about NCAA hockey in its ability to allow for more development time before having to make a decision on a player! See its a pretty simple and commonly known fact that all players do not develop at the same rate. That’s why some have more success at 21 while others have it at 18. Late growth spurts, time to mentally mature, and a host of other items play into this. Most Tier 1 or Tier 2 programs have a limited amount of 20 year olds they are allowed to roster. 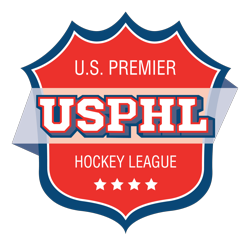 The only league with unlimited 20 year old players is the NAHL. The system is designed to keep those late bloomers and provide them with that last year of eligibility. So, if this rule change were to actually be adopted, it would serve no purpose for any junior program to keep 20 year old players who would lose a year of eligibility by playing. Many, if not most programs, would switch gears to recruit younger in order to keep scouts coming into the building. Who gets screwed are the players! Literally thousands of players would be eliminated from consideration by schools because you cant finish a degree with three years of college while playing hockey! Oh, and lets not forget, that Hockey Players have the highest graduation rate of all NCAA athletes! Way to flush that down the toilet with your proposal there boys! Oh and what about the effect of younger recruiting on Midget AAA hockey? 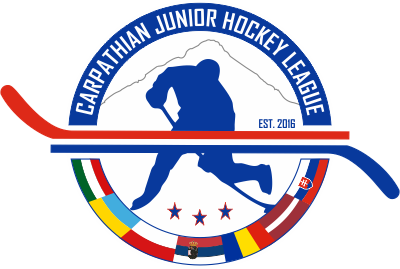 If these junior teams switch recruiting modes, Midget hockey would be picked over faster than a road kill carcass in Saskatoon! How many players would be lost to hockey in general? How many players would lose out on getting an education that some of them otherwise can not afford? How many future doctors, lawyers, physical therapists, and teachers would be lost to society if the completely asinine proposal is accepted? See the Big Ten is really the problem, and the recruiting rules in NCAA facilitate their problem. How about you Big Ten schools stop recruiting 14 and 15 year old players?!!! How about the NCAA changes the commitment rules? Look for a TJHN proposal to the NCAA on recruiting rules tomorrow. See the Big Ten doesn’t like having to compete against programs that use older players. Generally they get their asses kicked when they do. Proof is in the stats eh boys?! Yep, only Michigan and Penn State have winning records this year so far. Come to think of it, why would any six team division call themselves big “Ten”? Yeah, someone must have missed their Math 101 class! Never fear though kids. Its doubtful the rule passes. It is going to receive such pushback from the rest of the country that the Big Ten is going to be seen as needing some remedial education classes. Just the idea though. I mean seriously, the thought process is so one sided, and so obviously stupid that we should all be wondering which genius at which school actually came up with the original idea and proposed it to the other five schools! That’s the team that every other team in the country should pound the piss out of for the next five years or so. That would give every 21 yr old Freshman an opportunity to send their regards!